The shiny corridors of elite corporate gatherings. The revolving doors between business and regulators. We all know corporations wield enormous power, but few of us understand how it actually works. What are the tools corporations use to exercise influence? How powerful are corporate lobby groups? Is `Corporate Social Responsibility' the new green? And what - or who - is driving the economic orthodoxy known as globalization? 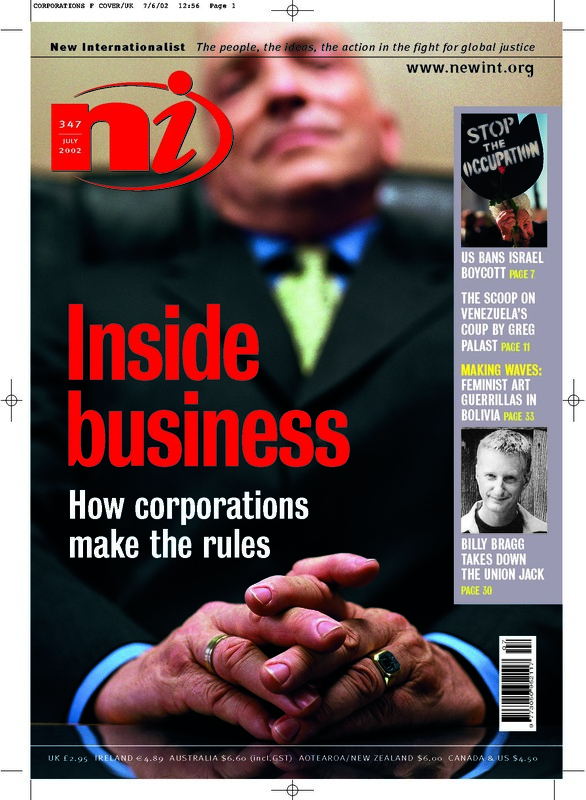 This month's NI, dedicated to investigative reporting, opens up the boardroom doors to bring you inside news of the corporate world order.